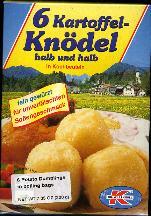 Kartoffelland 6 Kartoffel Knödel-Potato Dumplings 200g - Mixes - The Dutch Shop LLC your store for Dutch groceries. 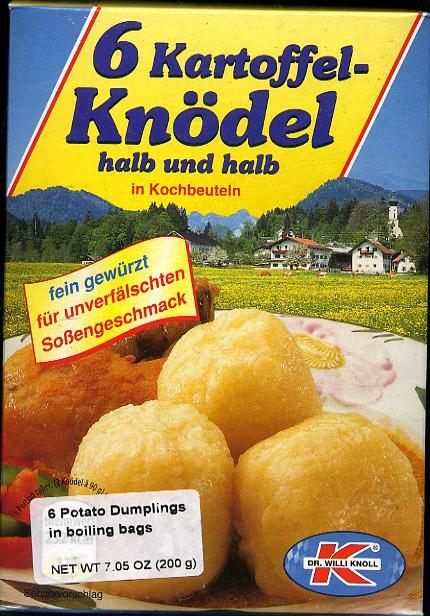 Kartoffelland 6 Kartoffel Knödel-Potato Dumplings 200g. Ready made potato dumplings in boiling bags.